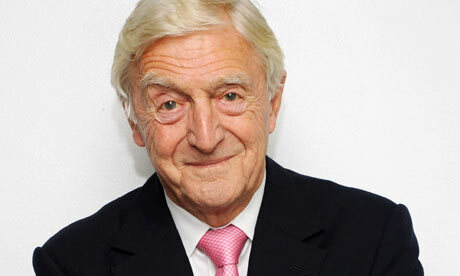 Veteran chatshow host and journalist Sir Michael Parkinson has revealed he has prostate cancer. The 78-year-old Yorkshireman is undergoing radiotherapy but said he was confident of returning to full health. He said: "It was a great shock, but I have been told to expect to make a full recovery." Diagnosed in May after a routine health check, Parkinson's treatment involves five sessions of radiotherapy a week. "I had to start calling a few of my social engagements to tell them I couldn't do it – what do you say to them?" he added. "When you are told you have something like cancer, it is a shock. But the cancer specialist said: 'I will assure you, you will not die of this. I am concerned about it, of course, but I am not frightened of it." Parkinson added that he had found the treatment free from pain and discomfort. "If anything, it's boring. You have to lie there completely still, for six minutes. But I have had no side effects at all." As the cancer is contained in his prostate, Parkinson was hopeful of being completely free of the disease by August. Parkinson's career saw him move from a career on newspapers to become one of the most recognisable faces on television, courtesy of his long-running chat show Parkinson. "I'm 78 and I have had a good life," he added. "When you get involved in this, you begin to understand the extraordinary work of those involved in treating cancer. "You just sit and look at them in wonder. They do the most extraordinary things, and I am very grateful. "I shall be around for a while yet, to the delight of my friends and the dismay of my enemies."